This should always be their smiles. I’m happy to see this. Really. Six years of them not being seen together and then they share a presentation. Wow! Have I said it enough?!?! This. 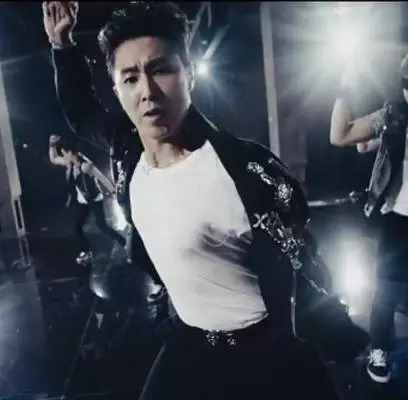 This is a Yunho I know. Not the other. This is a happy boy. And that… No criticisms… Let me bask in the happiness of seeing them together. I hope there will be more interactions that we can see. Credit to the website that had this!!! read somewhere that in a little interview for his latest drama, Yuchun said that if his feeling was deep into the other person, he would be able to reveal his relationship. Is that a dig? And to whom is it directed to? YunJae? LOL! Or his other half? 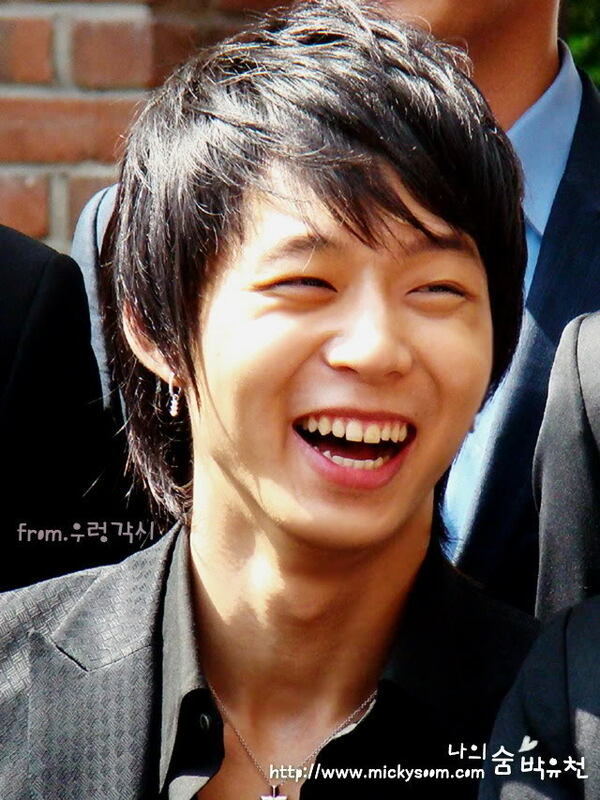 Yuchun is… like a double edged sword. He’s smart with word plays. And considering his words… I don’t know. But Yuchun being Yuchun means he’s making a dig AND teasing someone. 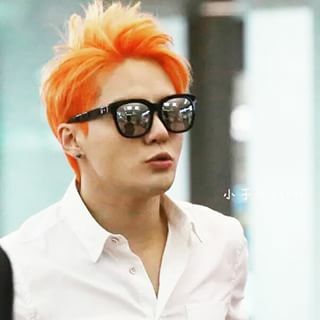 So Junsu went halfway out into the middle of the Pacific Ocean to “recuperate” from his musical. But he left with an attention stealing beacon, didn’t he? The orange hair is a great beacon, neh?!?! A/N: LOL! I was feeling really weird today… and for some reason, I wanted to express that I want to stick my head in the sand and become an ostrich. I just don’t want to deal with my life as it is right now. Too much crap coming and I don’t want to deal with anything! Seriously! But they have to be dealt with. Taxes and crap like this. Hell. 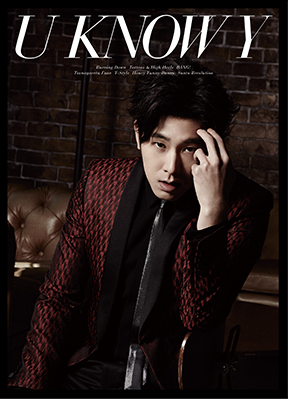 However, the words “Keep my head down” reminded me of TVXQ’s song “Why? (Keep your head down)” and it turned into this. LOL! Was I channeling Kim Jaejoong? Don’t know. But I swear it’s so perfect a response!!!!! LOL! I swear, the intention is sometimes different from the finished product. Even my poems turn darker than what I had first intended. Of course, as with any poem, the interpretation resides with the reader. If it resonates with you… Then great! What is it about the two that makes one think they belong together? What did we see that says they should be together? Was it those looks? That hug in MKMF 2008? Oooh, I swear, I still get goose bumps looking at that particular clip! It’s one of my favorite images! 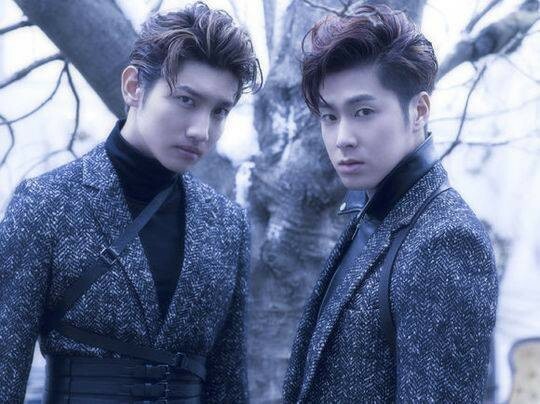 Was it the shy, “I love you, Yunho…” from way back in the day instigated by one crazy kid named Shim Changmin? The way they always seem to live in each other’s pockets? 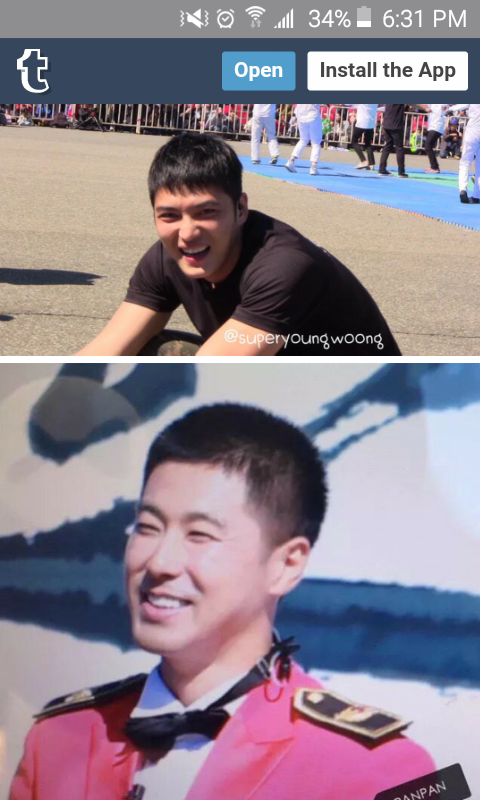 Or the gentle way that Yunho smiles at Jaejoong or the bright smile Jaejoong seems to get whenever he’s around Yunho? Or the awkward, ‘Should I or shouldn’t I?’ question that flits over Jung Yunho’s face as he contemplates feeding Kim Jaejoong with a skewered treat? Was it the skinship? I don’t really know. But, try as I would like to, I do not see them with anyone else. I’ve read so many accounts from YunJae shippers and those that disagree. I’ve read many articles on “Are they? Aren’t they?” line of questioning. And watched many videos. Too many. What is it about Kim Jaejoong’s sad songs that makes me think it has to be about Jung Yunho? Or that the one and only song that is legitimately acknowleged as Jung Yunho’s own composition and lyrics, “November with Love”, has to be an answer to one of Kim Jaejoong’s emotionally charged other songs? And those fan fictions! Holy crap! Okay, some of them are a little far-fetched even for me(MPreg? Man, I wish that was true, but seriously? ), but the others… Oh, hell! I feel like I’m reading about their lives in many dimensions and across time and through the folds of the tesseract (Note: This is from a Wrinkle in Time.). Albeit they are infused with the limitations of the author’s own culture and experience (some are soooo limited that you can only roll your eyes at them. I mean, waiting until marriage for THAT! 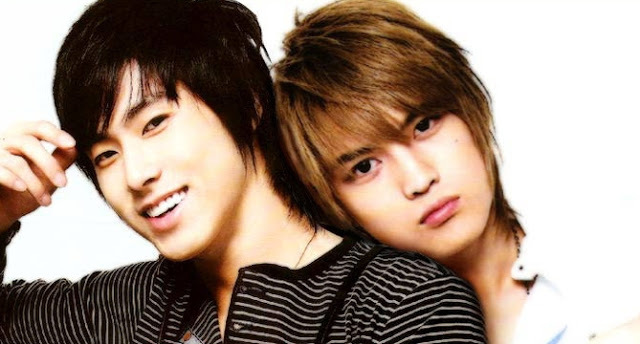 Does U-Know Yunho and Hero Jejung really look like the kind of people who would wait until after marriage? Especially in Korea? Well, right on, then…). And why is it that even now after 4 years of not being together, there is that niggling hope (perhaps it’s just me) that somewhere, sometime, in some way, these two would find their way to each other in that romantic way and not as ‘brothers’ and ‘best friends’? Or that if it’s not in this lifetime, they’ll somehow find each other again in another one with a happier ending than what is given them now? But in this lifetime, why is there a feeling, that having met each other, Kim Jaejoong and Jung Yunho will never be whole without the other? They’ll go through the motions of living, but within themselves, there will be a void no drink, no other person, no pursuits can ever fill. And that, while we all go through it, seems like such a tragedy. That these two souls that seem fated cannot come together because of emotional baggage, the ways of the world, and the society in which they find themselves in. But really, why? Why do they seem to go together like white on rice? Like ketchup and hotdog? Like hamburger and fries? Like coffee and cream? Like hot chocolate and marshmallows? They’re okay alone, but better together. No, wait. Together, they seem much more special, more than the sum of their parts. And so why? Why is it that this particular pairing seem to linger in fans’ minds? What is it about the two of them together that seems soooooo… I don’t know… right? I’d like someone to answer. It’d be nice to know, because for the life of me, I don’t know, but I can’t seem to look away either. Why are they so fascinating together? Is it because we speculate as to whether they’re together or not? If they were together or not? 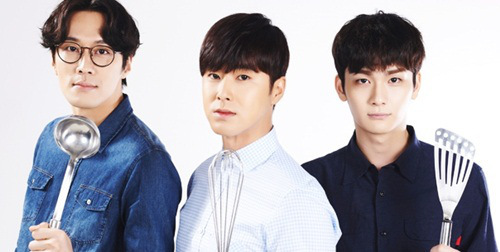 I mean, there’s HoMin and I don’t give a… about that pairing… There’s SiChul? That pairing and I don’t have any inclination to read about them or find out about this. Although Siwon looks very good and certainly, Heech is a very pretty man, still… There is nothing like YunJae in KPop that I’ve come across. What the hell are they? And why do they seem so perfect together? And why are they so perfect that they inspire crap loads of stories and pictures like the one above?